Carbone presents its line of oxycut kits and accessories in Panama. The Oxicorte Kit comes with a convenient bag to transport and store the equipment. Its parts are made with the latest technology offering the best quality in all its components. Our HD encapsulated valve regulator provides a stable and secure flow of gas. The compact components of bronze and stainless steel torches and handles ensure a precise and easily adjustable flame. 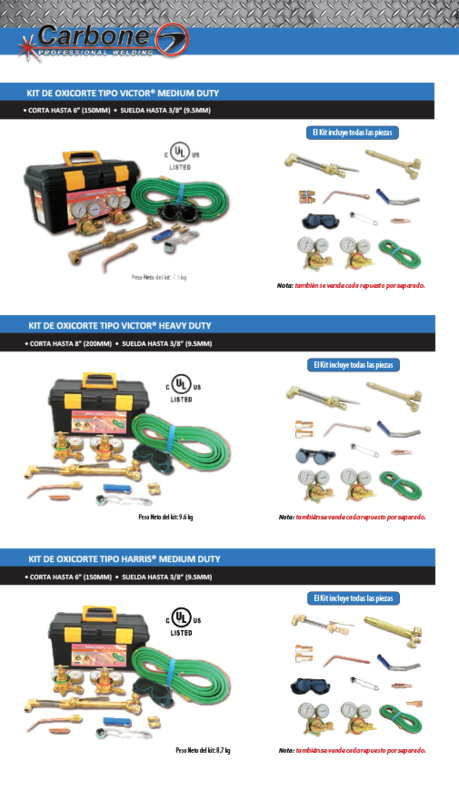 All the kits have all accessories for immediate use, cutting and welding nozzles, twin hoses, and spark tip cleaner and welder lenses. We offer a wide variety of regulators, torches, nozzles and hoses accessories of oxycut equipment. 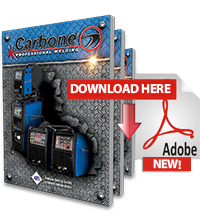 Carbone Panama presents its new line of welding kits, which can meet the widest range of machines for any job. We offer a variety of kits with various types of elements and features, ready to perform any work you need.